I went to my parent’s house for Christmas. I love their heritage wall. They have so many heritage items up that I needed 2 pictures to get it all. The heritage wall is in their kitchen so they get to see it multiple times per day. The pictures on the left feature my dad’s heritage and background. There is a picture of his grandfather, my dad and my dad’s younger sister. 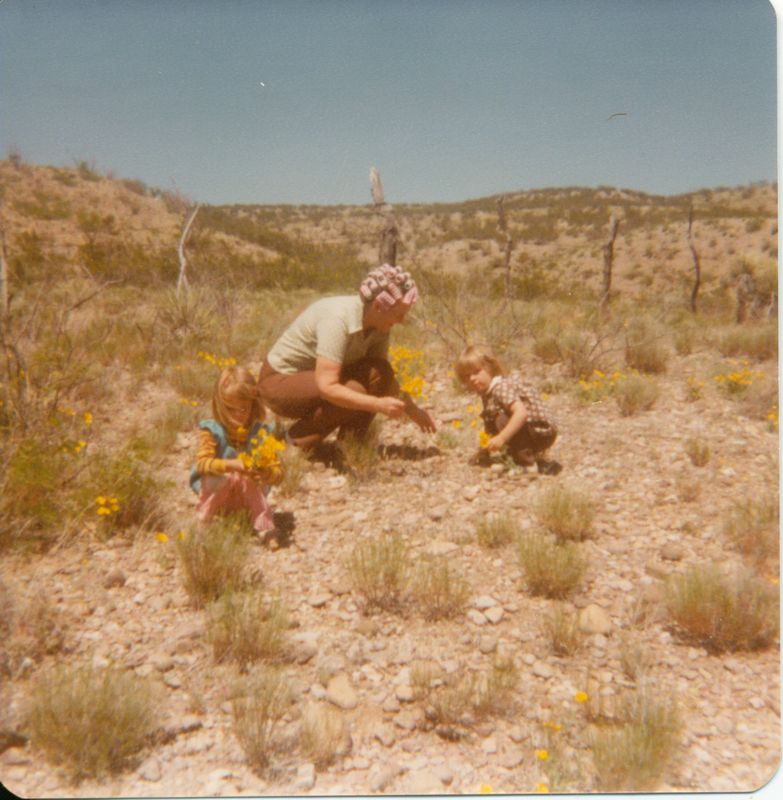 My dad was very close to his grandfather and as he was growing up he spent a lot of time helping out his grandfather on the ranch. 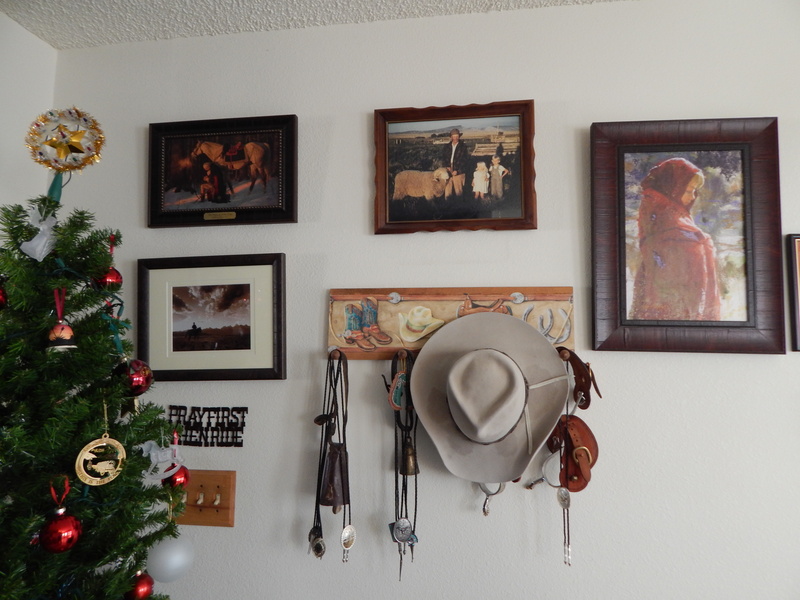 The ranch heritage is represented with the cowboy hat, spurs and other memorabilia. The girl in the red blanket is Rhoda, the younger sister of his third-great grandmother. Rhoda was the last person in the Martin and Willie company to die–just a day before they came into Salt Lake. Rhoda and her family crossed the plains in 1856 and their entire company was caught in early severe winter weather in Wyoming. Just to the right of and under Rhoda is a photo of Charles Price. He married Rhoda’s sister. He was the minister of a congregation in England and when he heard the Mormon missionaries in the 1840s he and most of his congregation joined the Church of Jesus Christ of Latter Day Saints. Further to the right are the Ellis Island backgrounds of both my mother and father’s surnames. 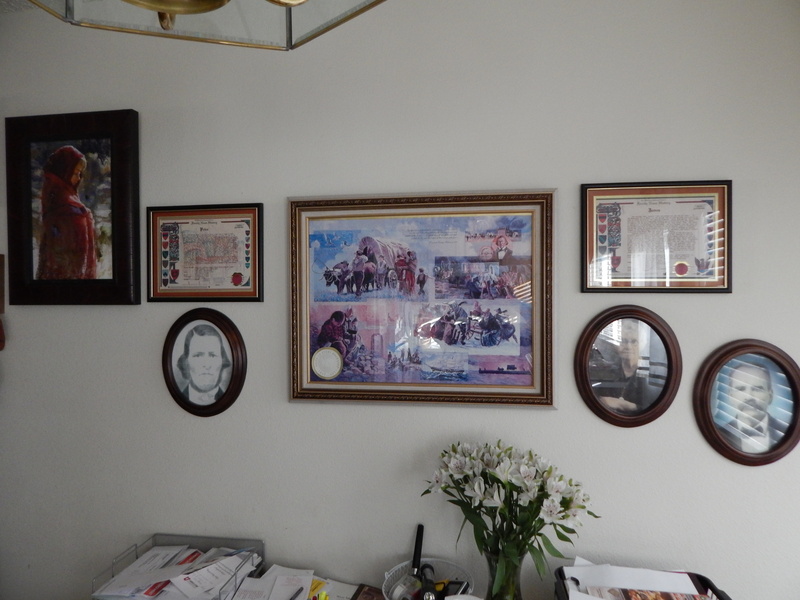 In the middle is a large collage of images from Mormon pioneers crossing the plains. Almost all of my ancestors on both sides crossed the plains in covered wagons or handcarts to get to Salt Lake. Only my mom’s grandfather came later with his family (in the 1890s). In the bottom right are Timothy and Mary Jane Done on my mother’s side. 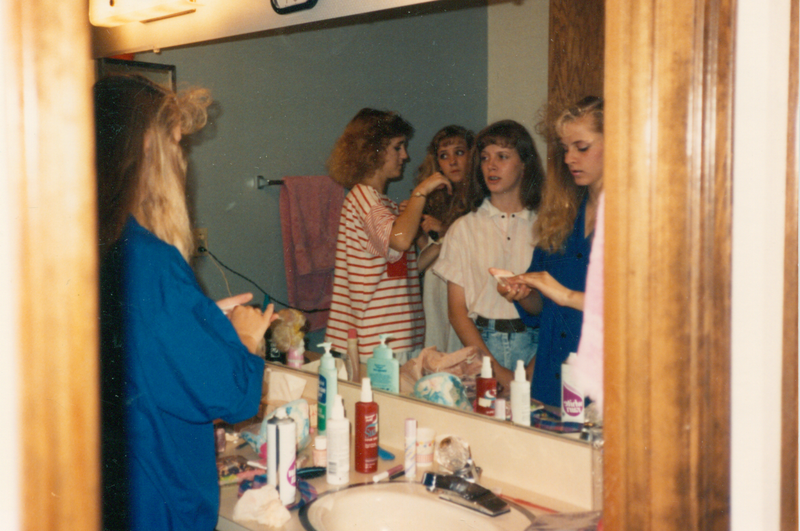 Have you thought about doing something like this in your home? It is a great conversation starter and a way to display your heritage.